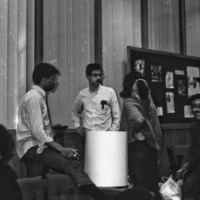 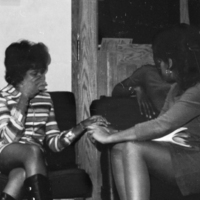 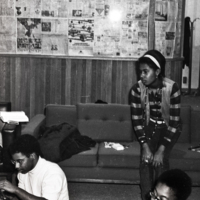 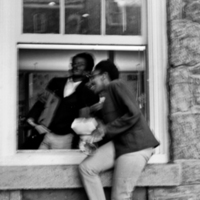 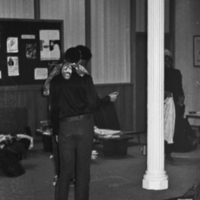 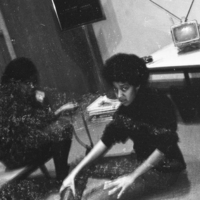 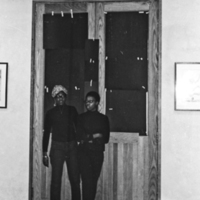 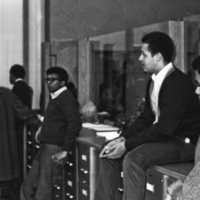 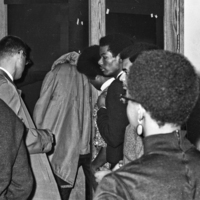 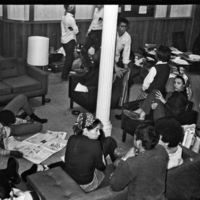 Black and white photographs of SASS during the sit-in at the Admissions Office in Parrish Hall, which began on January 9 and ended on January 16, 1969. 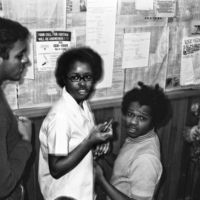 Holly Robinson and Aundrea White Kelley with unidentified student. 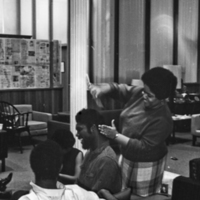 Myra Rose trimming Tralance Addy's hair. 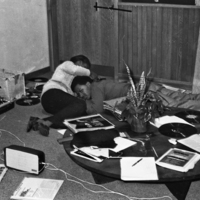 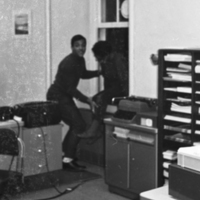 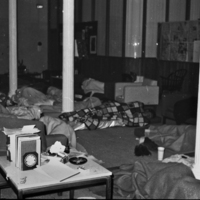 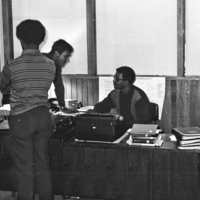 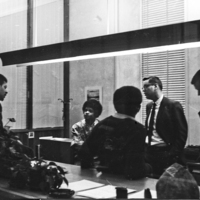 Nighttime in the Admissions Office during January 1969 sit in.